The manual windlass, also be called manual boat winch, boat hand winch, and hand boat winch and so on. In general, a manual windlass can work smoothly only under the condition that there are people to drive the coiling block and winding rope. Usually, a manual windlass will do two different movement, vertical lifting and horizontal pulling. 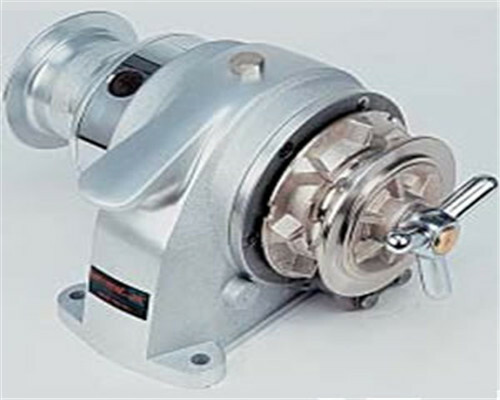 Due to the use of stopper plug in transmission gear, the manual windlass will keep the materials in a fixed position. What’s more, if a manual boat winch is mainly used to lifting heavy goods, the safe handle and detent will be the necessary. Because of the cheap price, easy operation and small lifting capacity, a manual windlass is widely used in poor working environment where holds no power or rough facility. 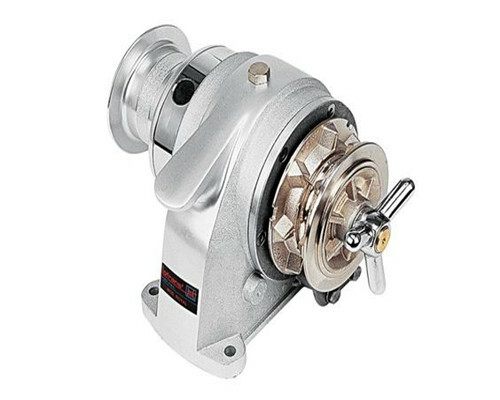 Besides these basic kinds of manual windlass, as a mature and qualified winch manufacturer, we are also quite confident to custom your particular hand boat winch for outdoor or indoor service. An anchor winch is mainly used to cast anchor and weight anchor for a boat. 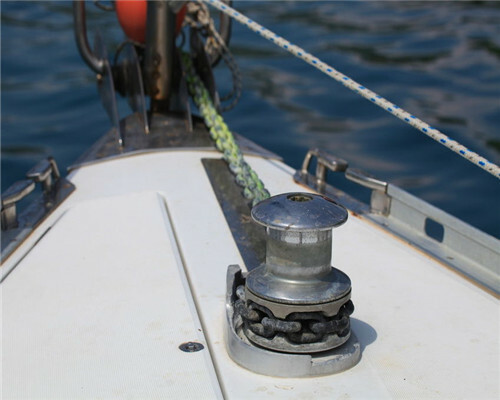 In order to usage this manual anchor winch safe and precisely, we should make some information clear, such as the weight of anchor, the diameter and length of the anchor chain, however, in some other situation, instead of using a winch chain, they use a wire rope to pulling boat, in that condition, it’s necessary to know the diameter and length of the wire rope. 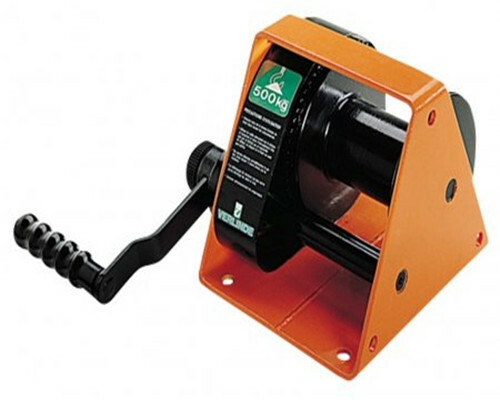 Generally speaking, every manual anchor winch can arrive at the speed of 10m/min. Every Ellsen’s manual anchor winch is designed and produced on the basis of GB/T6918-2005 standard, enjoying high reliable and safety, as well as friendly for environment. We adopt the hand system, equipped the warping barrel in its vertical axis, ensuing high safety and work efficiency. Ellsen Machinery Equipment co.,Ltd provides a complete range of single speed and double speed boat trailer hand winch. We use many high profile components to manufacture your best boat trailer hand winch. 1. We use the aluminum as the main material in the junction between wire rope and hook, as well as the high intensity wire rope with steel core. 2. This manual windlass with self-locking function changes quickly and easily. 3. Simple operation, easy installation and maintenance. As a mature winch manufacturer with around one century’s experience, Ellsen is quite confident to manufacture or custom all kinds of your satisfied manual windlass. 1. Our entire manual windlass is produced on the basis of multi high standard including DIN, FEM, ISO and other related regulations about the winch industry. Before purchase, we can provide a series of test for our customers’ winch, as well as the free maintenance after sale, to ensure our winch products’ high quality and good performance. 2. During Ellsen’s one century development, we always insist on the principle of “quality first, customer ahead” to produce our entire lifting machine. Under this excellent guidance, we are realistic and pragmatic to research new technology and methods to adapt in our windlass. So far, we have invented so many novel design, such as the modular design, lightweight and intelligence design. 3. After long time hard working and optimized, Ellsen possesses plenty of professional engineering and skilled workers to offer convenient for our customer anytime in 6 factories, making our customer buying happy and using reliably. In order to send correct and most suitable windlass quotation, pls kindly offer some important info as below. We will reply you in 12 hours. : Daxue Road, Erqi District, Zhengzhou, Henan, China.